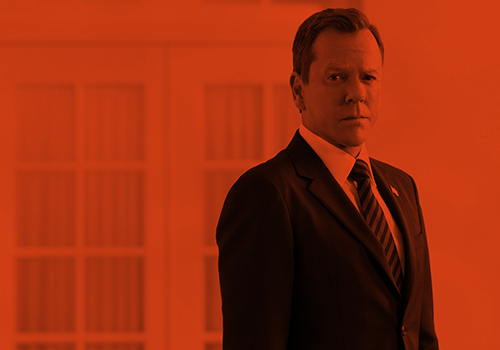 Kiefer Sutherland Network — 24: LAD Time Jump is Coming! 24: LAD Time Jump is Coming! 24: Live Another Day will have a time jump in its upcoming episodes. Fox’s 12-episode action series will continue to span 24 hours like previous seasons, but has so far aired events in real time without any jumps in the day. After seven episodes, there are still 17 hours to cover before the season ends on July 14. Executive producer Howard Gordon has told TVLine that there will be several skips in time, but that he is “sworn to secrecy” about how this will occur. Gordon and co-creator Robert Cochran also addressed whether Jack Bauer (Kiefer Sutherland) may be replaced by Kate Morgan (Yvonne Strahovski) in future seasons. 24: Live Another Day continues tonight (June 16) at 9pm on Fox in the US. It next airs on Wednesday (June 18) on Sky1 in the UK. Also make sure to tune in tonight for the 200th episode in the 24 series!!! What a feat! This entry was posted by Courtney on Monday, June 16th, 2014 at 12:30 pm. It is filed under 24: Live Another Day, News. You can follow any responses to this entry through the Comments Feed. Keep me post it on all the updates about kiefer Sutherland. Home Projects Television 24: Live Another Day 24: LAD Time Jump is Coming!